I only just discovered Erika Wennerstrom 6 weeks ago via Heartless Bastards on a re-aired episode of Austin City Limits on PBS. I was a bit mesmerized right away and knew I had to hear more. I started out with the Sweet Unknown album CD and I was completely blown away – I could not stop listening to it. 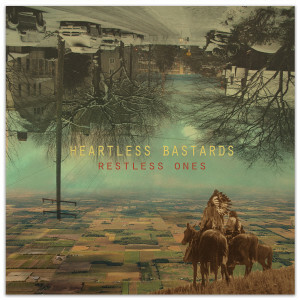 The obvious next step was to check out HB material and so I bought the most recent album released, Restless Ones – another amazing album, can’t believe what I have been missing. At this point I decided I must have the rest of the HB catalog and so I just ordered CD’s of the other 4 albums – don’t see how I can go wrong, can’t wait for them to arrive on my doorstep. I left vinyl behind in the 1980’s but as I'm low-tech, I still prefer to buy CD's of a favorite artist, something printed I can hold in my hand with artwork, liner notes and lyrics.